Died: 23rd August 1918; age 21; KiA. Residence: 2, Silent Street, Ipswich. Relatives Notified & Address: Son of Mr & Mrs Davall, of Ipswich. 1901 12, Cardinal Street, Ipswich. Cecil was 3 years old and living with his parents & siblings. Walter Richard Davall, 42, a Boot Maker – own account, born Holborn, Middlesex. Laura Davall (nee Sugars), 32, born Ipswich. William Alfred Davall, 5, born Ipswich. Elsie May Davall, 1, born Ipswich. Edith Alice Davall, 2 months, born Ipswich. 1911 109, Camden Road, Ipswich. 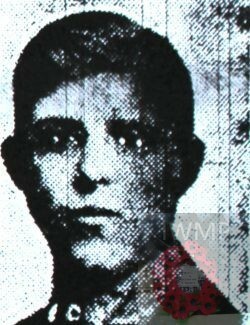 Cecil was 13 years old and living with his sisters as boarders to 43 year old, Sophia & 39 year old George Maskell a General Labourer – Engineers Factory. Cecil’s father Walter Richard Davall, died 1907, Ipswich. His mother Laura Davall, died, 1909, Ipswich. 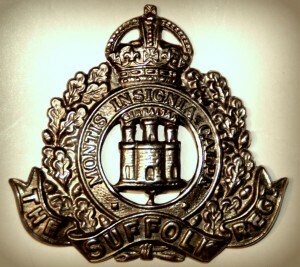 In the “History of the Suffolk Regiment 1914 -1927”, 2nd Lt Davall is recorded as having been wounded twice. Once at the Battle of Polygon Wood between 26/09/1917 and 30/09/1917 and again while taking part in a trench raid in the Hinges Sector on 24/05/1918.